Cold Springs Resort is tucked beneath a cooling canopy of Ponderosa and Tamarack and only steps from the spring-fed Metolius River, the cabins at Cold Springs Resort offer the perfect family retreat. Breathtaking mountain views and pristine lake waters invite you to enjoy everything from outdoor adventures and activity to more leisurely and reflective pursuits. 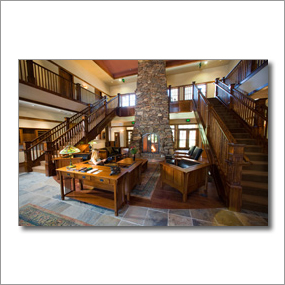 FivePine Lodge and Conference Center sits in a harmonic setting amidst the pine forests of Sisters, Oregon and offers 24 stand-alone craftsman style cabins and 8 rooms within the lodge itself. The lodge and cabins are all situated on a campus offering a world class spa, fine dining, brewery, movie theatre, and athletic club. 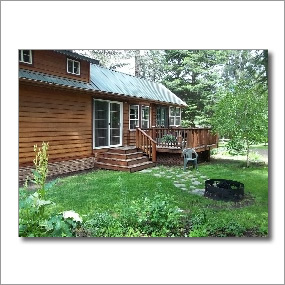 FivePine Lodge was developed with a minimal impact approach; buildings were established around existing trees, with developers using native materials and ensuring that wildflower fields were planted to re-grow naturally and more vibrantly each spring.